I am writing this in the closing months of 2017, and the last year has been very significant in the history of SAFE, it has been a really good year of progress. This year we look set to have more than 30 organisations as members for the first time in our history. 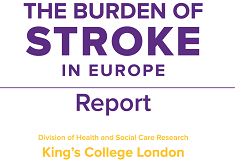 We delivered a major report via a stroke summit meeting inside the European Parliament. Stroke was for the first time the main topic of the highest summit of EU Chief Medical Officers in Tallinn, Estonia and we were representing the stroke patient voice. We signed a Memorandum of Understanding to work together with the European Stroke Organisation to improve Stroke care, prevention and resource allocation across Europe. 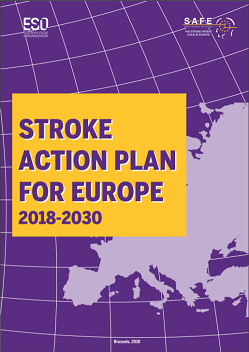 As part of that we are working to produce the Stroke Action Plan for Europe, which will be unveiled at a stroke summit we are organising in the European Parliament in 2018. We have contracted Weber Shandwick to be our lobbyists at the EU. We have held regional conferences covering all countries in Europe, and these have been part of a deliberate ongoing programme to grow and strengthen Stroke Support Organisations in every part of Europe. We have delivered more stroke messaging to the public than ever before, and our presence on social media grows day by day. We have created a partnerships group, with many commercial organisations participating in discussing how they can help move the agenda of stroke prevention, care and survivor support forward. I want to thank in particular all those individuals and their organisations who have played such a key role in enabling SAFE to start performing and achieving. Your contributions are very much appreciated, and absolutely essential for SAFE sustainability. We are once again holding our largest ever Working Conference, and paid and recruited staff to manage our communications, administration, fundraising and projects. We had our largest ever income and largest growth in commitment to spend, including signing a contract with Oxford University to deliver a research report on the economic burden of stroke in 2019. The SAFE board has worked harder than ever this year, and I as President would like to commend and thank them all for what they have given to help conquer stroke. Alongside the Board we have great colleagues, Sandra Jackson, Jelena Misita, Lucinda Shaw, Nicole Robinson-Edwards, Victoria Brewer and Gary Randall who have all contributed tirelessly. 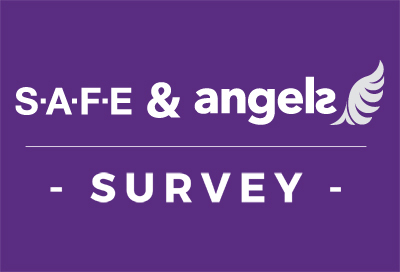 As the central activity of SAFE has raised its performance, so too we see more member organisations beginning to employ people, conduct campaigns, run services, and build their website and social media activity. The future promises much, together we are stronger. 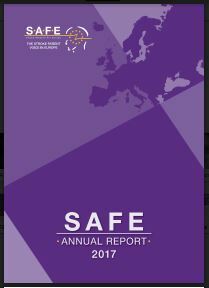 Please follow this link to open the SAFE Annual Report 2017 – Online version or click on the icon below (small photo of the Annual Report’s front page) to open the version for printing.